She was only 17 when she married Russell Simmons on St. Barts. 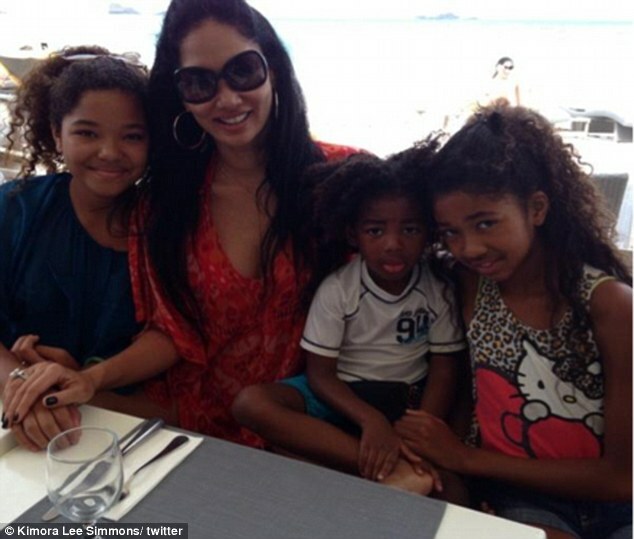 And 14 years later, Kimora Lee Simmons returned to the picturesque Caribbean island with her three children in tow for a very sandy Christmas vacation. The 37-year-old could not hide her delight, or her ample bosom, as she frolicked on the beach Saturday with her daughters Ming and Aoki from her marriage to the hip-hop magnate. The former model looked red hot in her string bikini, which she accessorised with a small body chain across her toned torso. Ming, who turns 13 next month, was all smiles in her black-striped one-piece, while her 10-year-old sister wore a blue patterned bathing suit with cut-outs on each side. As soon as the temperature dropped, Aoki donned a pair of jean shorts and an ultra-cute Hello Kitty tank top. Not seen on the beach this week was Kimora’s three-year-old son Kenzo from her relationship with actor Djimon Hounsou, whom she recently split with after five years together. But the six-foot stunner happily shared several candid snaps from her family holiday getaway, including a shot of little Kenzo seated at a restaurant table. 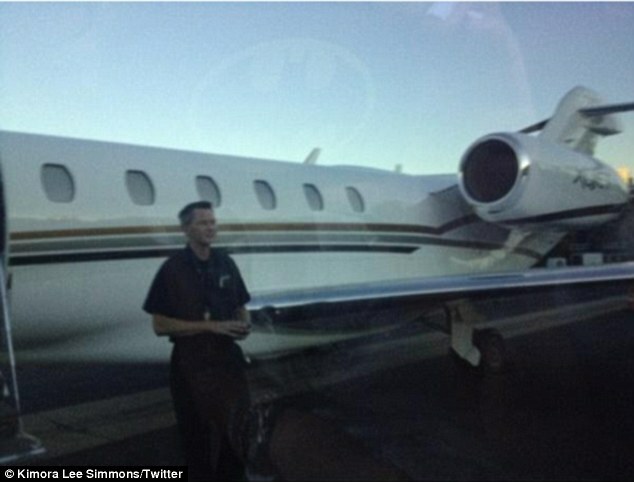 The Simmons-Hounsou clan took a posh private jet earlier this week to the tropical island, despite decorating the family Christmas tree earlier in the month. 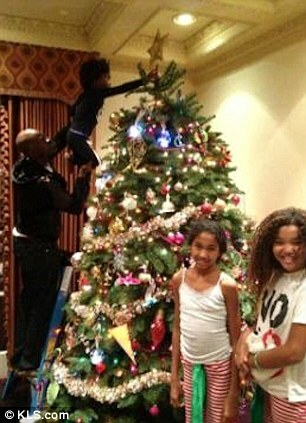 In the picture Kimora posted on her website, the 48-year-old Amistad actor is seen holding up his son as the tyke placed the star atop the Christmas tree. After her 2007 reality series, Kimora: The Life In The Fab Lane, Simmons is set to return to television on January 23 when her show House of Fab premieres on the Style Network. She’s not the only one in the spotlight either as Ming and Aoki both appear in OK! Magazine‘s Hollywood’s Cutest Kids feature. 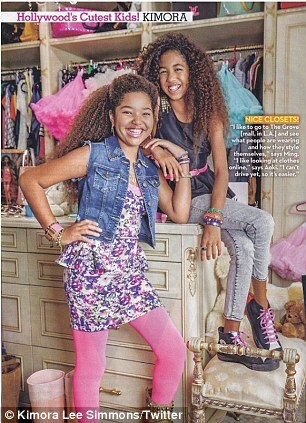 The Simmons sisters can be seen in the most recent issue of the mag posing before their closet loaded with designer duds.